Is China Sending Its Fishermen to the Senkakus? Plus, Chinese innovation, Zhou Xiaoping, and more on the “rule of law” in China. Friday links. Yesterday, The Diplomat ran a piece by Bonnie Glaser of CSIS and Thomas Vien analyzing the sudden drop in Chinese patrols within the contiguous zone of the disputed Senkakau/Diaoyu Islands. Glaser and Vien argue that Beijing may be signaling to the Shinzo Abe administration in Japan, indicating that a “new normal” in Chinese patrols is possible if Abe does in fact recognize that the islands are in dispute. The Nikkei Asian Reviews offers a counterpoint, however, noting that even as military and paramilitary patrols have become less frequent, the number of incursions by Chinese fishing boats has skyrocketed. “From January to September, the Japan Coast Guard told Chinese fishing boats operating within Japanese waters around the Senkaku Islands to leave on 208 occasions, a 2.4-fold jump from last year and 26 times larger than the figure for 2011,” the piece notes. Japanese officials worry that the sudden jump means that Beijing has stopped trying to prevent Chinese fishermen from heading to the area. The increased number of confrontations between Chinese fishermen and the Japanese coast guard raises the potential for another diplomatic row like the one in 2010, when Japan arrested a Chinese fishing captain for allegedly ramming a Japanese coast guard vessel. For a closer look at the factors driving China’s fishing boats further from the mainland (and into contested waters), see Zhang Hongzhou’s piece for The Diplomat. 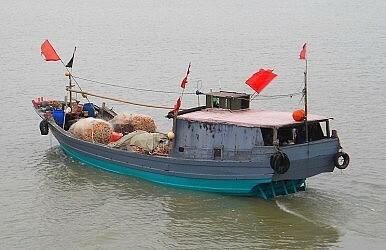 Zhang argues that profit motive, not grand national strategy, remains the major concern for China’s fishermen. Elsewhere, The Economist looks at China’s transition to an innovation-based economy by analyzing China’s smartphone makers. China’s domestic smartphone companies (led by Xiaomi) already have the Chinese market all but cornered; now they are increasingly expanding abroad as well. The Economist acknowledges the common charges that these Chinese smartphones are merely cheap imitations of global brands. “It really is theft and it’s lazy and I don’t think it’s OK at all,” Jonathan Ive, lead designer at Apple, has said. But the piece also notes Chinese companies are becoming innovators in their own right – “Huawei and ZTE are among the world’s most prolific generators of new patents,” the article points out. Fostering innovation, particularly in the high-tech sector, is a major goal for China. If you haven’t heard of Zhou Xiaoping (the Chinese blogger earning praise from Xi Jinping himself), Foreign Policy has a great introduction on its Tea Leaf Nation blog. Zhou was one of two young bloggers who got a personal shout-out from Xi during his recent talk on Chinese art. Both writers are young, strongly nationalistic, and highly critical of the West. Zhou in particular has made a name for himself for expressing boundless optimism in China’s potential for development (and for attacking the U.S.). “When I was young, I stupidly felt our country had systemic problems and had no free economy,” Zhou wrote in one piece, urging readers to believe in China. Later, he calls on readers to support the “oriental culture’s ultimate counterattack against Western hegemony.” Zhou’s work gained even more notoriety in the West when blogger Fang Zhouzi, who pointed out numerous factual inaccuracies in Zhou’s pieces, had his accounts deleted from Chinese social media sites. Zhou, somebody up there likes you. Gewirtz’s piece was written before the plenum opened, but the communique issued on Thursday fits well with his general thesis. For my analysis of the plenum’s final communique, see here. Xu's trial will serve as a symbol for the "rule of law" over China's military.